Coffee as an expression of art! We use the flame from burning oak wood which is blown directly into the coffee beans to roast them in a unique technique giving the beans a distinctive roast. Probably the last machine of its time our 1952 Victoria roasts coffee in an age old method brought down through generations of Italian Master Roasters. Wood roasting is a technique that roasts the coffee beans by heating the drum in a similar manner as electric and gas fired heating. Direct flame roasting is an old method of roasting using the actual flames to roast the beans. This gives the beans a distinctive flavour just like the barrel gives to wine. MiKoffee is made in our workshop in Tuscany Italy since 1952. Nestled between the famous cities Florence, Pisa, Chianti, Sienna and Lucca is Montecatini where MiKoffee is made in keeping with the tradition of art, culture and food that Tuscany is world famous for. The direct flame that roasts our coffee giving it its distinctive and unique taste and scent, is made from oak wood. The oak wood we use in our stove is harvested under supervision from sustainable Italian forests. MiKoffee is produced from a renewable and sustainable source of energy. Unlike electric, gas or wood production roasting machines, our sixty five year old Victoria direct flame coffee roaster is limited in how much coffee it can produce every week and month. This means that every roast and every bag of MiKoffee a limited boutique production. 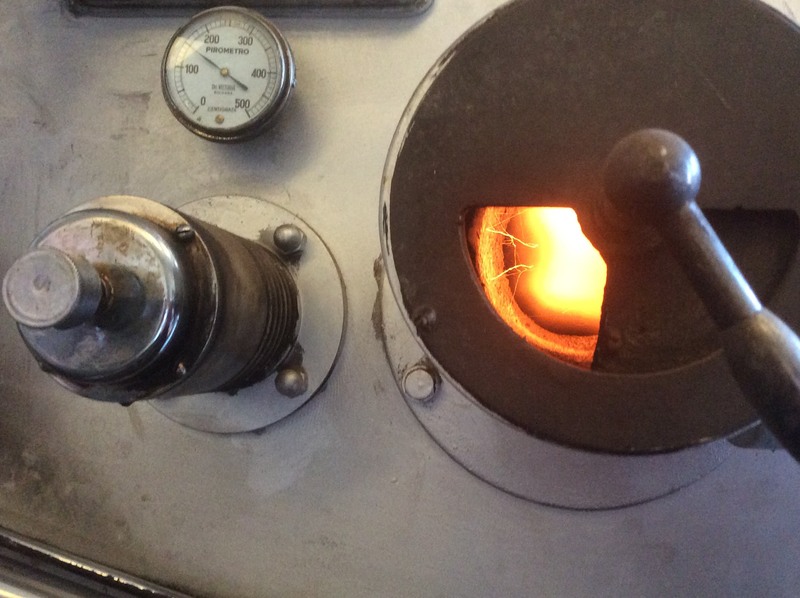 Our Victoria direct flame coffee roaster has been working from 1952. For sixty five years, generations of Master Roasters have been producing quality coffee. Nowadays, Lauro Chelotti is passing on his lifelong journey of knowledge and experience to his daughter Sara Chelotti. 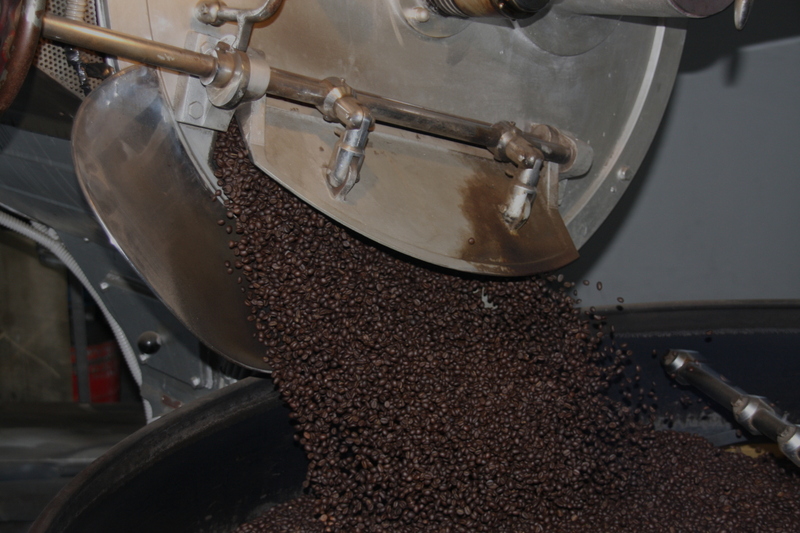 Operating our sixty five year old Victoria coffee roasting machine is no easy task. There is no manual on how to understand how much oak wood to put, how high the flame should be, when the coffee is exactly roasted and how it should look and smell. All this means that every production of MiKoffee is an exquisite expression of art by Lauro and Sara themselves. Quality doesn’t happen by chance. 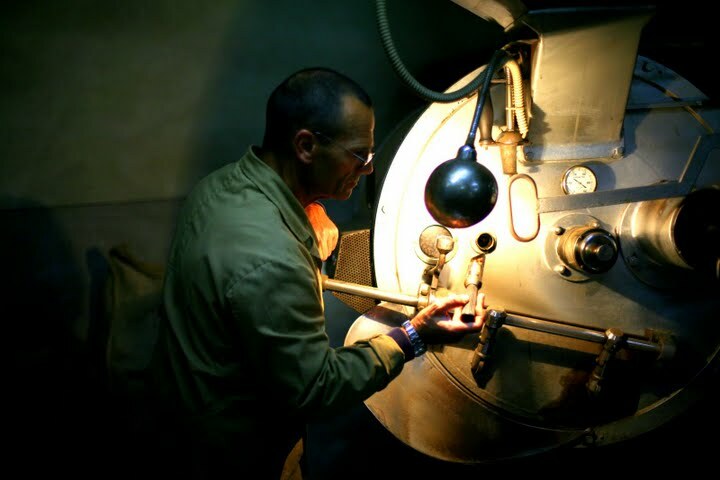 MiKoffee is a result of sixty five years of knowledge and the dedication of our Master Roasters. The whole process from start till finish is managed to ensure and guarantee that the end product lives to our quality standards. MiKoffee is made from the best coffees from around the globe and the best grades. This means that the coffee beans brought in have already been filtered through leaving only the best beans. Before sending the beans inside the machine to be roasted, each bag is individually checked by our Master Roaster. MiKoffee is unique in that we roast coffee using a process of direct flame. We probably operate the last remaining direct flame coffee roasting Victoria machine using wood burning stove of its time. The wood, natural oak cut under regulations from forests in Tuscany, is burnt in the stove until it reaches the optimal heat to start the roasting. The flames then rise till inside the spinning drum and gradually roast the beans. The roast is monitored by Lauro and Sara, who continually sample the beans to check how well and how far the roast is. If they need to increase or decrease the flame and when it is time to close the flame and release the beans in the turning cooling tray. All this is done manually, judging the bean by colour and smell and fell. Senses that have been developed over the years. It is this mix of unique machine and human experience that makes MiKoffee a brand like no other. There is coffee and then there is MiKoffee! The process of direct flame roasting of coffee is a traditional method that gained popularity between WWI and WWII, with the machines perfected just after the second world war. The need for production and volumes and also the fact that the user needed extensive training to be able to use the machines without burning the whole roast, meant that these machines went out of style. Not because they did not produce an excellent coffee, but because the volume industry didn’t allow it back in the 60’s let alone In today’s global economy. Today it is difficult to find a boutique coffee workshop like MiKoffee that produces a gourmet coffee. Our machine, a 1952 Victoria comes from a long line of coffee machines. Back in the 1950 when the workshop was originally set up, all the machinery from the coffee roasted to the silos and grinders were Victoria. Today, whilst tweaked up to meet modern food standards, all the Victoria equipment is still operating inside our workshop.